Sky Blue plays their 12th game of the season tonight, making them the last team to hit the halfway mark. A bigger milestone awaits, however; if they don’t win, they break the record for longest winless streak to start a season. Elsewhere, all eyes are on Christen Press to see if she’s the missing piece in Laura Harvey’s puzzle. We’re on the downhill slope now as we start the first half of NWSL Week 14. Can Orlando replicate away success at home? Like the majority of the table, Orlando has won more games on the road than they have at home this season. Winning their first ever match at Washington last weekend put them in second place, three points clear of the next three teams. To continue to distance themselves, they need to take full advantage of this three-game home stretch, and that begins with Houston. Two pieces of good news for the Pride are that Ali Krieger and Camila are both available now, and I wouldn’t be surprised to see at least Krieger get minutes in this match. They also haven’t seen the best of Alex Morgan or Marta, and once those two pieces are clicking, they’ll only get better. Orlando’s first win of this season was the last time they hosted Houston, so history is on their side. However, the Dash are quite a bit different than they looked in April. 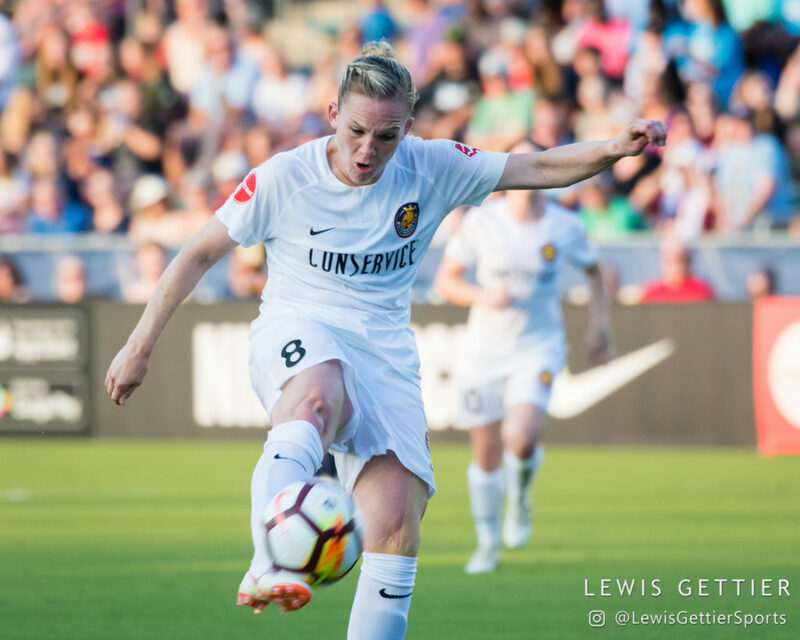 Taylor Comeau had a hard time in her Dash debut containing Tobin Heath, so if she returns at right back, the Pride would do well to send Morgan to the left. With Kyah Simon creating, Rachel Daly scoring, and Sofia Huerta looking like she’ll do a bit of both, the Dash are also more offensively potent than they were on their last visit, which could prove a challenge for Monica and Shelina Zadorsky in the center. Big question here is if the Pride midfield will perform at home the same way they do on the road, something they haven’t done yet. In one of the most anticipated tactical match-ups of the year. Laura Harvey and Vlatko Andonovski face their old teams (or what’s left of them), although the squad formerly known as FCKC is in new colors. Prior to last Saturday, these teams were tied for the best defenses in the league, and while Utah can now boast sole possession of the honor, neither side had a defensive effort to write home about. Something else Harvey can boast is new weapons in Christen Press and Sam Johnson. Expect Press to start this match up top alongside Amy Rodriguez, and here’s where Harvey has several choices to make. 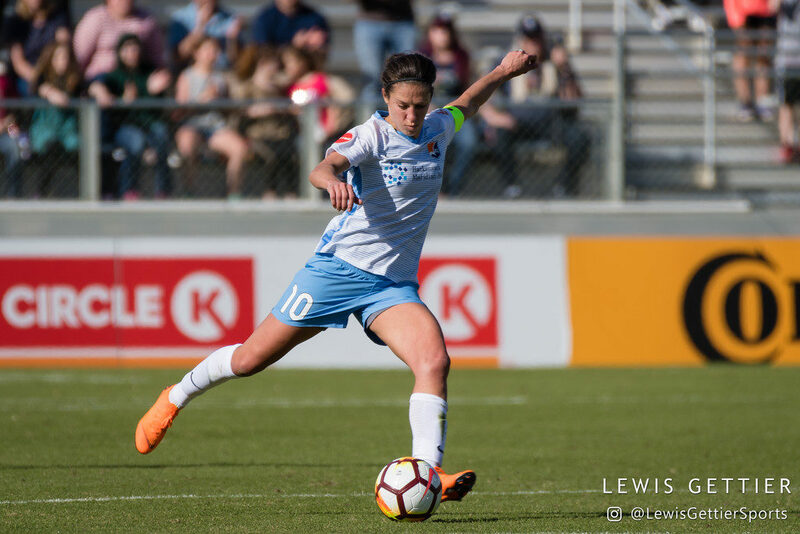 Does she add speed with Brittany Ratcliffe, hold up play with Katie Stengel, or does she try to outnumber Seattle’s midfield with a 4-4-2 formation? Andonovski doesn’t have quite as much flexibility, and he’ll continue to sorely miss Lauren Barnes and Jess Fishlock. Their Fishlock-less midfield took advantage of the absence of Sam Mewis in last week’s game against North Carolina, at least to start with, but once McCall Zerboni wrestled control back, the game was out of their hands. They’ll want more aggressiveness from Allie Long and Rumi Utusgi against the Royals midfield, which hasn’t quite lived up to potential yet but could be very dangerous. Somewhere else Andonovski needs to figure out, without really having the personnel to tweak, is to figure out what to down when Megan Rapinoe isn’t leading the offense. Getting more out of Jodie Taylor would be a start. Will Sky Blue work their Portland magic again? Last season, Sky Blue lost at home to Portland, only to turn around a week later, fly across the country to one of the toughest venues in the NWSL, and walk away with a 3-1 victory. Prior to that game, the Thorns were on a 7-0-1 regular season streak at home (this does not include the 2016 semifinal loss). To put it frankly, a lot would have to go right for the Jersey team to pull off this feat again. They’re without Rebekah Stott, their best defender, and Katie Johnson, who is second on the team to Carli Lloyd for shots and Savannah McCaskill for goals. However, as mentioned above, they have a lot of motivation to win. There are a few bright spots for Sky Blue to exploit. One is that Providence Park isn’t quite as tough as it used to be: in six games at home this year the Thorns have only taken seven points. Another is that with both Emily Sonnett and Adrianna Franch showing a little rust last week, Portland could be susceptible to a quick counterattack, especially if Lloyd and Shea Groom can link up. The biggest question will be their outside backs. Portland loves their flank attacks and can be counted on to hammer opposing fullbacks, pinning them in their defensive half and exploiting any space left behind. Ana-Maria Crnogorčević: The Swiss striker had her best game in a Thorns uniform so far, scoring the game-winning goal. 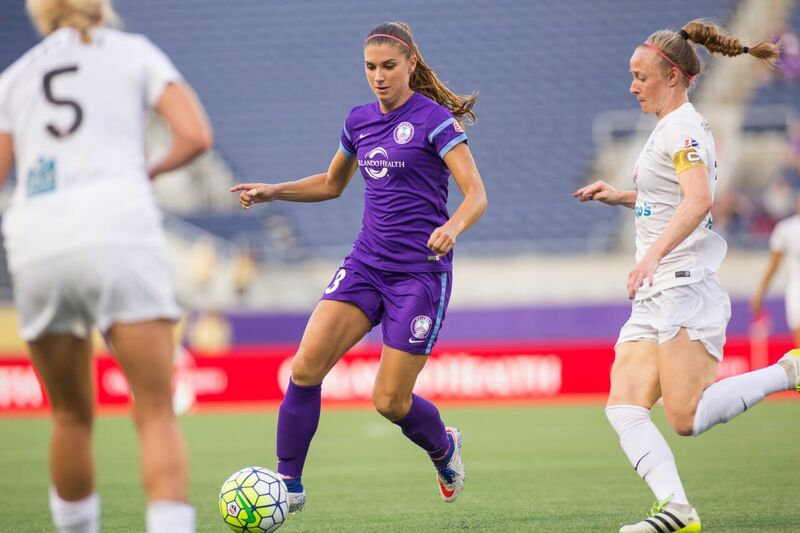 Christine Nairn: She was one of the most dynamic in Orlando’s win over Washington. Sydney Leroux’s defensive work: Leroux is the very definition of hustle. Penalty kicks: Lynn Williams’ was just the latest in what have been some truly poor attempts this year, a trend anyone who remembers the 2016 Olympics would like to see end. Abby Smith kissing the goal post: Surely that collision deserved more than a cursory concussion check? Marta’s frustration: It hasn’t been a banner year for her so far, leading to some very visible frustration in her short time on the pitch last weekend. Tracking Back: What can be done to stop the North Carolina Courage?